Traditionally it was carried as an amulet against curses or ill-wishing. It is known to give you courage, self confidence and strength of will. 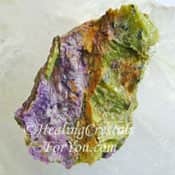 This is one of natural healing crystals for you to use to balance the brain, so it may be of benefit to help those who are suffering from mental disease or with personality disorders. The largest numbers of Tiger Eye Stones are found in South Africa, but it also comes from Brazil, India, Burma, Western Australia and USA. 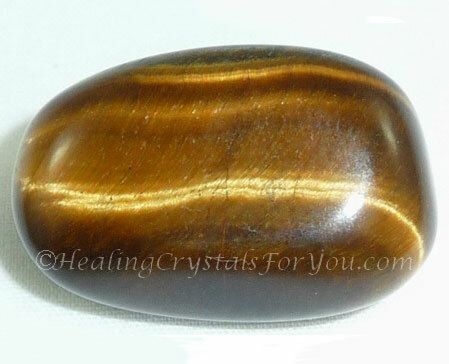 Recently I was asked, is Tiger Eye a crystal? And they also wondered which stones belong in the category of crystals? 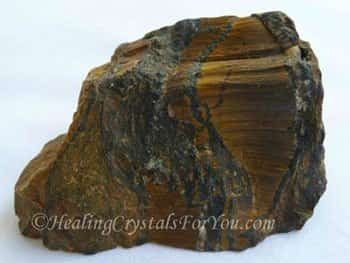 Well while the answer is yes Tigers Eye is a crystal, this is for two reasons. Firstly: It is about common usage. The word Crystal is now a commonly used word to refer to the range of beautiful minerals, stones and rocks that are made into gemstones. Secondly: Stones that contain quartz are said to be crystals. The true meaning of the word crystal relates to stones made of quartz. This golden brown stone is quartz based with various minerals included. While it is not usually classified as a quartz crystal, it's make-up is quartz with inclusions of fibers of gold asbestos and various other minerals bound up within the quartz. This gives these stones their golden color. 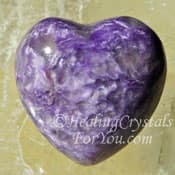 These stones are profound amplifiers of energy, similar to most quartz crystals, and will boost the energy of any other crystals you use them with. 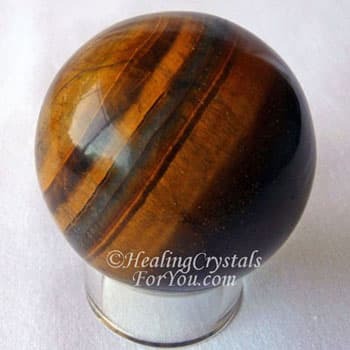 It is easy to buy Tigers Eye Stone and it is as simple as keeping the stone within your aura, so it will be of benefit to you. It is the balance within the stone that is its most practical attribute. 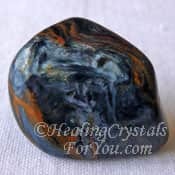 It is an effective stone to assist you to accomplish goals. If you are prone to criticizing your own actions, you may be experiencing a lack of self worth. 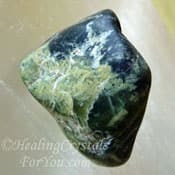 This stone may help you, as it will infuse you with confidence, brightness and optimism that may relieve these feelings of lack. In the past these stones were worn as an amulet, as they were known to be a powerful stone to give protection from bad or negative energy. You can wear them as a talisman to guard against you curses or ill-wishing and they are known to give you courage, self confidence and strength of will. It will stimulate the rise of the kundalini energy, the coiled serpent that resides at the base of the spine. When it is stimulated it may rise up through the spine, and the process of kundalini stimulation is said to bring enlightenment. If you want to use it for this purpose, combine Serpentine stone with it. Serpentine will ease the kundalini awakening process, and may alleviate some of the possible discomfort that many people feel. 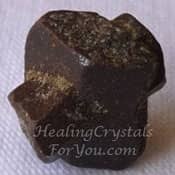 Naturally golden stones assist you to enhance the masculine principle. This allows you to be balanced, and have a complementary amount of feminine and masculine energy. 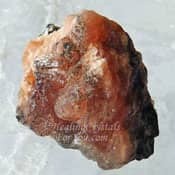 This stones action works strongly within the sacral or navel chakra, and this is a helpful energy for you to use to enhance your creativity. The fire or solar element in this golden stone stimulates your ability to manifest your most ardent desires. Its energy will enable you to take the action needed to be more practical, and put this into practice within your life. 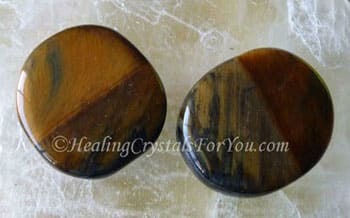 As Tigers Eye stone grounds you to the earth via the base or root chakra, it aids you to be more calm and centered, and is a strong stone for grounding you when you feel ungrounded or spacy. Its vibration within this chakra will also especially aid people who are spaced out or who find it difficult to make commitments to doing what needs to be done. These stones are powerful to manifest an increase of money. It is one of the golden stones, so it is excellent to manifest those things that you desire into your world. This will aid you to be a force for good within the world, as you integrate the understanding of how to consciously use the light, to aid humanity. This is an excellent stone for meditation as its holds the vibration of the Golden Ray. The golden ray is the vibration of Christ consciousness, a state of compassion, grace and unconditional love. 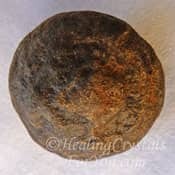 Using this stone in meditation you may be taken to a place where you can make contact with beings of the Golden light. Through communion with these enlightened beings, you may be guided about how to make your future actions be aligned with Divine will. 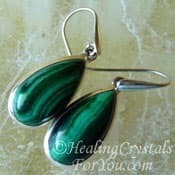 You may find pieces made from Tigers Eye in many places that sell jewelry, as these stones are on the zodiac birthstone list. 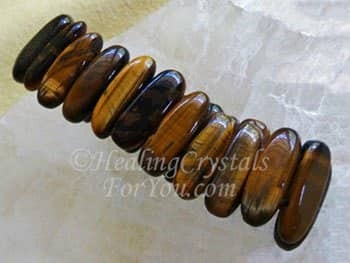 Tigers Eye jewelry is easy to find, and it works most effectively when it is worn within the lower chakras. This golden brown stone is a Gemini birthstone as well as a Capricorn birthstone, so you may find a wide range of different birthstone jewelry available. By wearing a Tigers Eye ring or bracelet you will keep the energy closer to the lower chakras, where it is most effective. 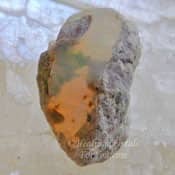 If you are unable to get a ring or bracelet, other jewelry such as lovely pendants made from this interesting stone will be effective. The best way to utilize its energy, is to endeavor to keep the stone within your aura for as long as possible each day. 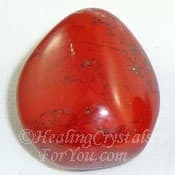 It is a strong stone to aid you with all of the basic survival needs, and aids your ability to work through difficult times. 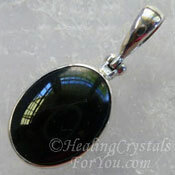 The energy of Tigers Eye stone surprises many people as it is something of a contradiction in many ways. While it is an energizing stone it will calm you. It will ground you, yet allow you to go to the highest levels and make contact with the golden light. It is known to aid the healing of broken bones, and it helps to enhance your strength when needed. I bought this bracelet when I broke my wrist, as it is known for its energy to help the body to heal broken bones. Not sure how to meditate? 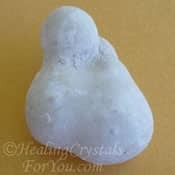 This is an excellent meditation stone, but if you are not exactly sure how to do this, checkout my article on easy ways to meditate. Simply holding this stone or any other stone in your hand during meditation is highly beneficial. 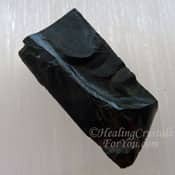 This is a stone that helps us to be more active, mentally as well as physically, and its major work is within the lower chakras. 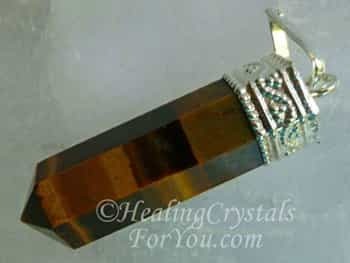 The vibration of 'the will', which is the predominant energy of the solar plexus chakra is strong within Tigers Eye Stone, and its energy here also aids the release of fear. It is the balance within the stone that is its most practical attribute. While it is a stone of balance, it will help you to more easily see both sides of a situation. 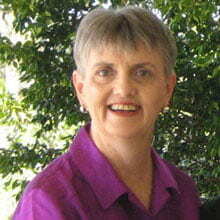 It would be helpful for you to have on you, if you are a negotiator or mediator in any situation. 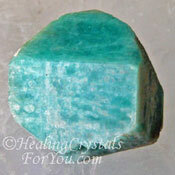 If you are the mediator in any situation, combine it with Amazonite Crystals to enhance your negotiation skills. 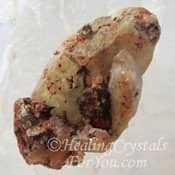 The vibration of the quartz within Tigers Eye stone, will amplify the energy of other stones that you combine with it. 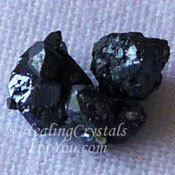 This crystal will combine well with all varieties of quartz. 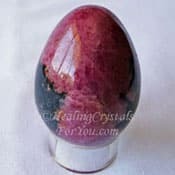 Purple Charoite, Malachite, Pietersite, Red Jasper and most other types of Jasper, will blend their energies well with this stone. 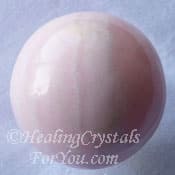 This stone will help you if you feel that you require assistance to deal with fear. 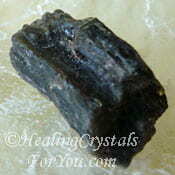 But if may also be helpful to combine it with other crystals that are known to assist with the release of fear. 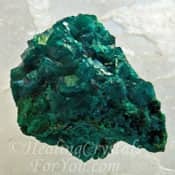 Stones to such as Shaman Stones, Aurichalcite, Witches Finger Quartz, Black Jade, Spirit Quartz, Staurolite, Ethiopian Opal, Menalite, Mangano Calcite, Scapolite, Darwin Glass aka Darwinite, Dioptase or Rhodonite may be beneficial crystals to use. 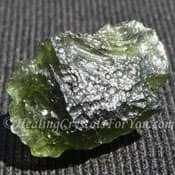 If you desire to create transformation in your life, use it with Moldavite. This combination is extremely positive, as Tigers Eye Stone adds its vitality and resilience to Moldavite's intense vibration. 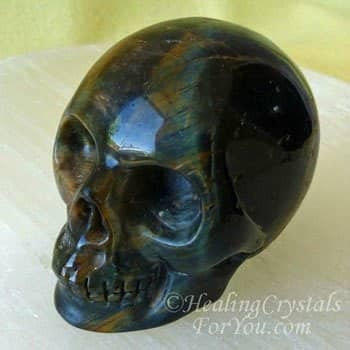 If you wish to use it for raising the kundalini, other powerful stones to aid the process are Atlantasite, Red Jasper, Tibetan Tektite, Seraphinite, Jet, Hureaulite, Ethiopian Opal, Brookite, Serpentine and Shiva Lingam.